Solar Motion 80 LED Security Light Using the power of the sun, light any dark area and add extra security with the Sunforce Solar Motion 80 LED Security Light. This light automatically turns on when motion is detected, making it ideal for remote locations, garages, pathways, sheds, security & lighting dark areas. 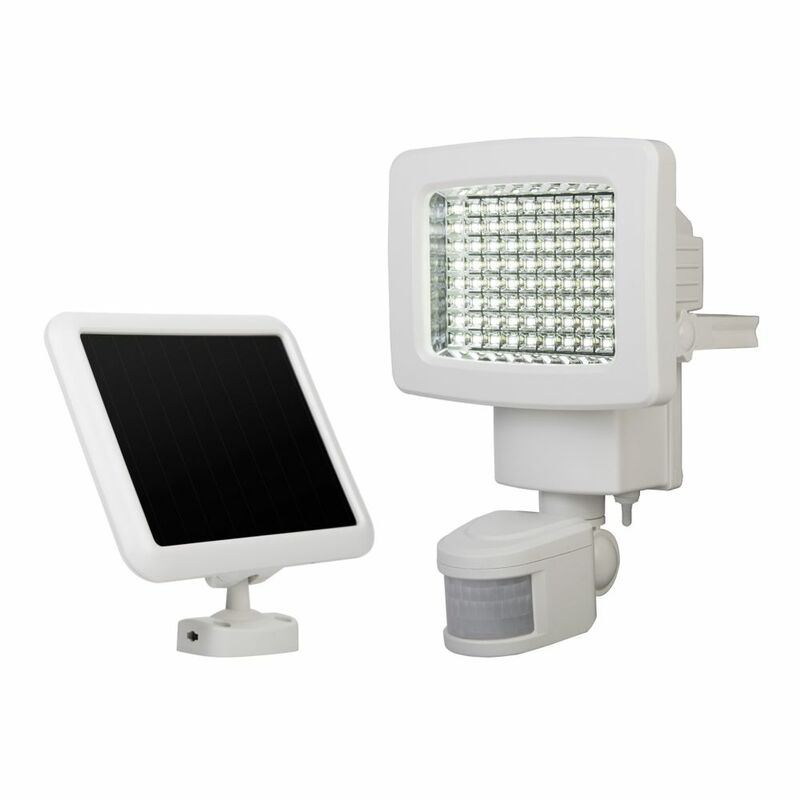 Solar Motion 80 LED Security Light is rated 4.3 out of 5 by 159. Rated 5 out of 5 by CactusX from We love this product. We bought two of them at first, and they did such a good job that we have b... We love this product. We bought two of them at first, and they did such a good job that we have bought five more. Now walking around our property at night feels much safer. No more tripping over rocks! Rated 4 out of 5 by Richard from The light is great, once you figure out the right... The light is great, once you figure out the right angle for the panel (APP on web) it charges up and is very brigh. The only reason this is not 5 stars is that the motion detector became unreliable. I have the three light that has never had a problem so I have returned the 80and reordered the 80. Rated 5 out of 5 by Noni from My son had put this up for me on the... My son had put this up for me on the other side of the house as it was so dark and now I have motion light and works great and it really lights up when the coyotes come and I haven't seen them since . Rated 5 out of 5 by Rosemary from Perfect We had one we bought a year ago and wanted 2 more to put along our lane way. Works well and gives off decent light - even when a deer or squirrel walks down the lane! Definitely a great buy. Rated 1 out of 5 by Spider from Junk Didn’t work out of the box. OK when switch in test position but when set to any time, unit would not come on at all. No weather protection anyway, couldn’t have lasted long under real outside conditions. Wasted my money. Rated 5 out of 5 by goodfellow from very good quality, I mount it in the front side of my garage, even though the sunshine does not c... very good quality, I mount it in the front side of my garage, even though the sunshine does not come to it directly, it still works very well. The overview states that there is 15' of wire. Probably goes from collector to light.